Unblock your shower with JLH drains. No call out charge, just call and we will see what the problem is and offer a fast fixed price solution. We have an engineer near you right now, call now and we will be with you very soon. Just like a blocked bath, blocked showers do happen from time to time. There can be many reasons for that and pouring an unblock solution doesn't always work. Most commonly residue from shower gels and shampoos build up, loose hairs stick to it and over time a clog forms. The problem can even be well away from the shower in the main drain or pipework; fallen leaves or a tree root obstruction can lead to water backing up so when its time to call in the professionals call JLH Drains first. Whatever the cause of a blocked shower, we quickly find the problem and get it sorted. Call us now on 0800 781 8922 and we'll be with you shortly! By combining the best technology, a flexible approach and a really dedicated, experienced and certified team we can take care of any kind of blockage or drain problem quickly, cost effectively and usually without needing to dig or excavate. Fully insured, you can rely on us for a professional and comprehensive drain unblocking service at home and at work for showers, bath, sink and toilet blockage repairs. We provide a high quality range of drain repair and maintenance services to customers across the Kent, London, Sussex and Surrey regions. Our most regular call out locations include; Gravesend, Maidstone, Medway, Sheppey and West Malling, Gillingham, Chatham, Rainham, Twydall, Rochester, Strood, Sidcup, Dartford, Gravesend, Higham, Luton, Newington, Sittingbourne, Meopham, Orpington, Bexley, Swanscombe, Canterbury, Wigmore, Parkwood, Hoo, Sheerness, Farnham, Leatherhead, Guildford, Woking, Northfleet, Alhallows, High Halstow, Whitstable, Margate, Cobham, Herne Bay, Ramsgate, Faversham, Cliffe, Crayford and London. 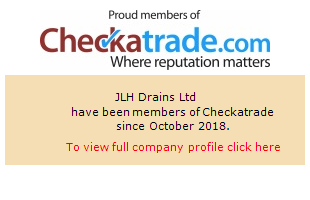 Whenever you face a shower blockage, get it taken care of quickly and affordably by the experienced team at JLH Drains contact us today and we can arrange a no obligation survey and quotation with one of our friendly drain unblocking team.